Honorable Mentions: Sicario: Day of the Soldado, Solo: A Star Wars Story, A Quiet Place, Avengers: Infinity War, Mandy, Mission: Impossible – Fallout, The Ballad of Buster Scruggs, BlacKkKlansman, Annihilation, Won’t You Be My Neighbor? So yeah, there were a large amount of movies I missed this year. Life gets in the way and it happens. I wish I would have had time to see Outlaw King or The Sisters Brothers or Green Book or Boy Erased or Paddington or Roma or countless others, but it just didn’t happen. So with that, let’s go through the top five I did see. Drain all of the remorse, all the empathy, and any of the warmth that the human spirit is capable of and you’re left with Thoroughbreds. It’s an odd mix of quirkiness and psychological thriller that you somehow smile through. Well, most of the time. 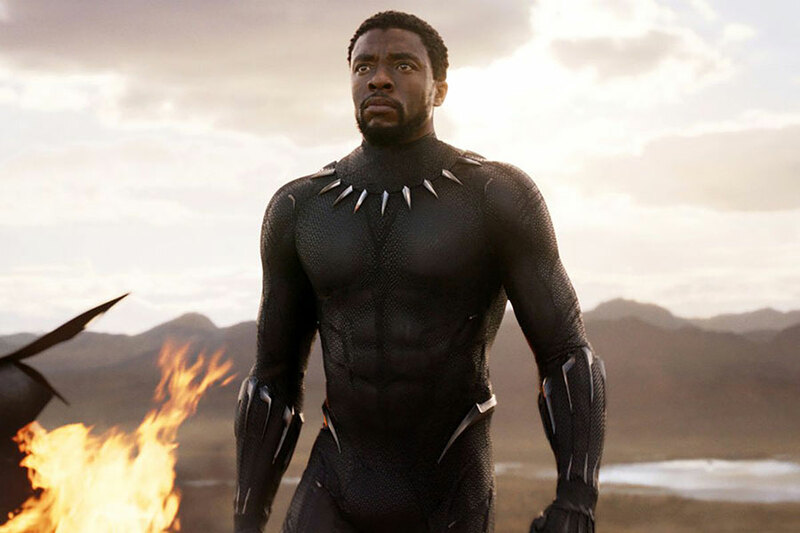 What can you say about Black Panther that hasn’t already been said? Ryan Coogler was able to build such a rich and vibrant world with just a single movie that no other Marvel flick has been able to rival. The guy has always had a serious vision with the serious chops to implement that vision, which he did to near perfection, yet again. 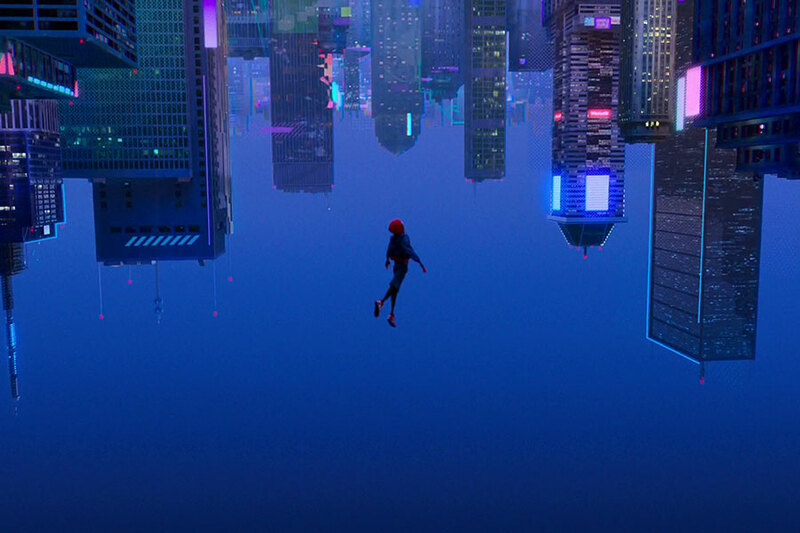 The best time I had at a theater this last year was, hands down, with Spider-Man: Into the Spider-Verse. They somehow managed to be so utterly precise with what it’s like in your own head when you read a comic book. And, seriously, can we just shelve Peter Parker for a couple decades and go with Miles Morales anytime we need to see Spider-Man on the big screen? 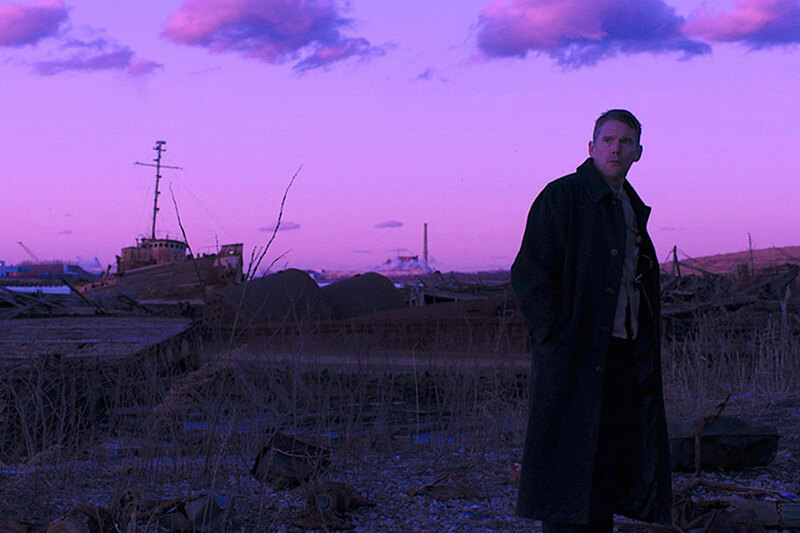 First Reformed is just layers upon layers of bleak and dreadful uncomfortableness. Purposefully ambiguous in nature, I love how many ways it can be watched and interpreted. Check it out on a good day could make it the most hopeful movie ever, but a bad day could bring the most dreadful of dire experiences. 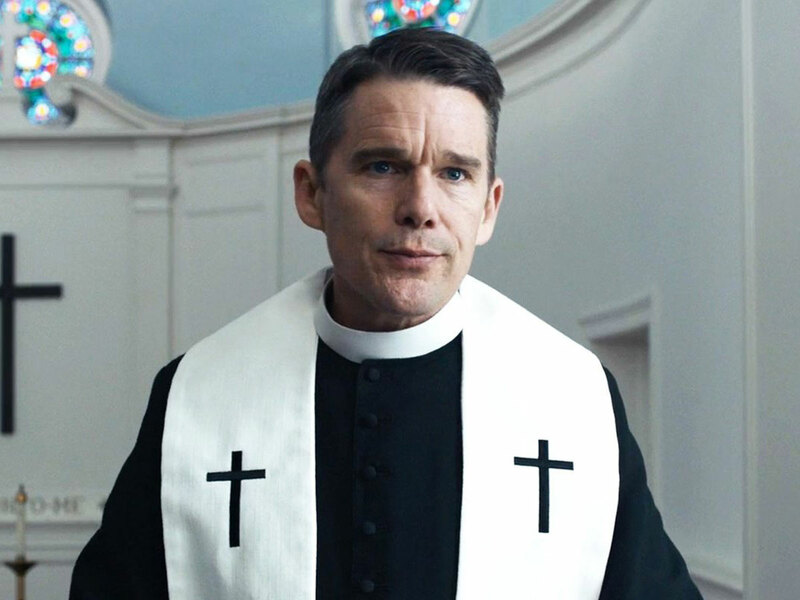 Whatever you get out of it, Ethan Hawke has never been more brilliant playing this person of faith in the middle of a spiritual breakdown. First Reformed is one that needs to be seen by all. All great movies, but there can only be one best. What happens when your struggles stop you from living a conventional life? How do you deal with those struggles or do you even deal with them at all? Moreover, how do you take care of the ones you love when you can’t care for yourself? Leave No Trace tries to answer some of this. 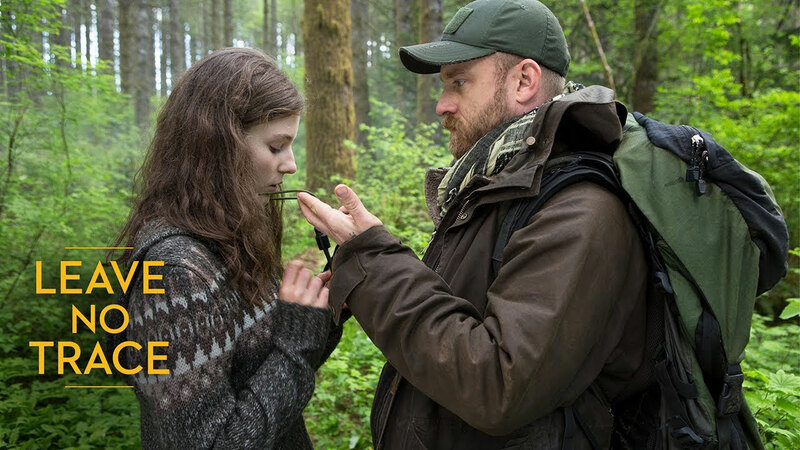 Ben Foster is effortless as the wounded warrior who can’t seem to adapt to a modern society. His silence through most of the movie is down right deafening. His daughter can see the conflict, but struggles to identify how or if she should reach him. 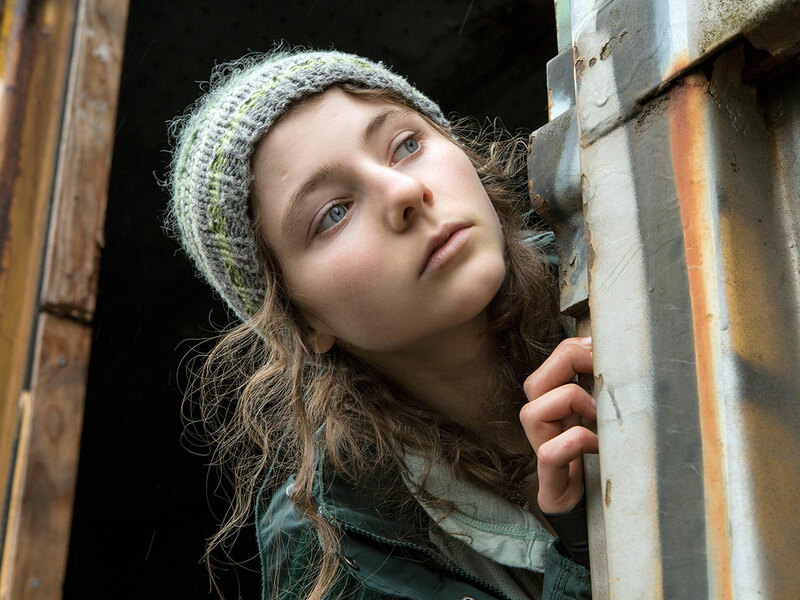 Played by Thomasin McKenzie, she’s so extraordinary confident in her role and is, without a doubt, a star in the making. This story is one of very slow burn, but never without purpose. 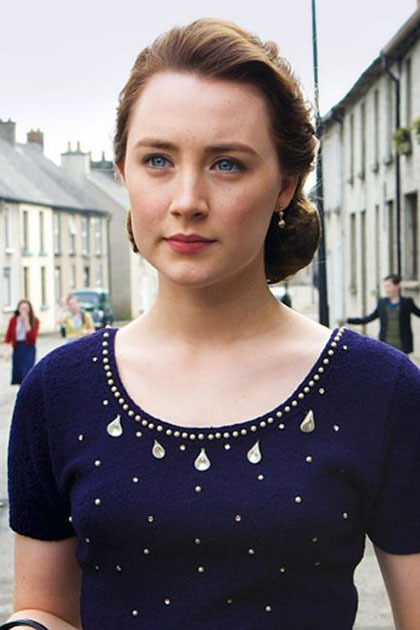 It’s powerful and moving from start to finish with heartbreak at nearly every turn. Hellbent on burying the hurt and leaving no trace, this movie has definitely left a mark. This entry was posted in Uncategorized on February 20, 2019 by Rich. I feel like every year gets harder for me to get the list under twenty and this year was no exception. It was a fun year, for sure. In my opinion, Pixar has been way off its narrative game ever since Toy Story 3, but boy did they deliver big time with Coco. It’s about family and their role in supporting you and your dreams. It’s about the want to create music or any kind of art and not compromise in that creation. And it’s about not having to choose between the thing you love and the people you love. It’s a beautiful movie. If Get Out was just a psychological thriller, it would be a very competent one, but there’s so much more. It’s a very sharp, very in your face social satire wrapped in a genre movie. Writer/director, Jordan Peele, cleverly illustrates how casual suburban, middle-upper class racism, despite contradictory assertion, is just as vile as blatant hatred. He criticizes white liberal hyperbole and speaks to people who believe they’re of a common cause against racism, but unknowingly make things harder for black people. The writing is tight, there’s a ton a lighthearted laughs and scares to break up the deliberately uncomfortable moments, and the lead, Daniel Kaluuya, is perfect. Dunkirk is a flick that begs to be seen big and loud. It’s a horror movie at its core in that you’re watching all of these people and you know that it’s probably not going to end well for them. Nolan has never been a good director of human emotions, but he’s an amazing technical director and this one proves once again he’s a master of his art. 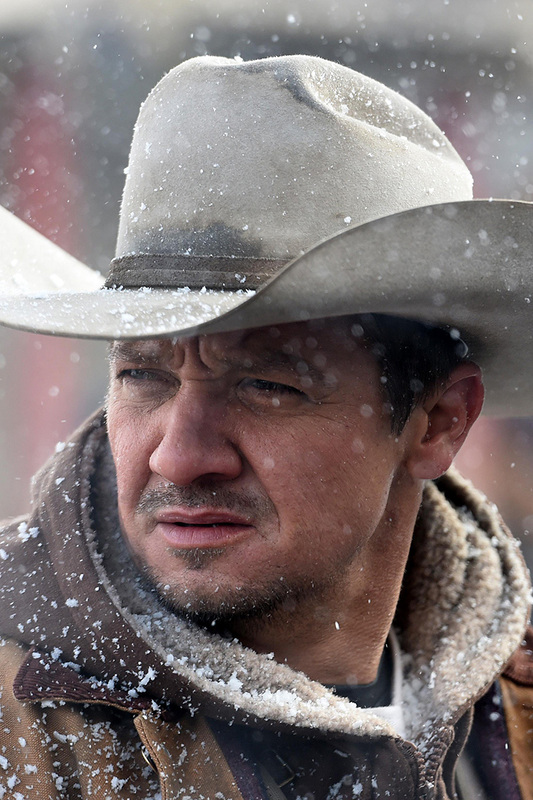 Wind River is the third movie in Taylor Sheridan’s “American frontier trilogy” and the first one he’s directed. It continues on the theme set by the previous two movies, Sicario and Hell or High Water, in that it’s about of the death of the Native American population and how people and companies don’t give two shits about it. The film is icy and bleak, but still richly textured due to Sheridan’s characterizations of its people and places. Jeremy Renner isn’t an actor I would say has a ton of range, but his performance here goes to show you how good anyone can be in the right director’s hands. 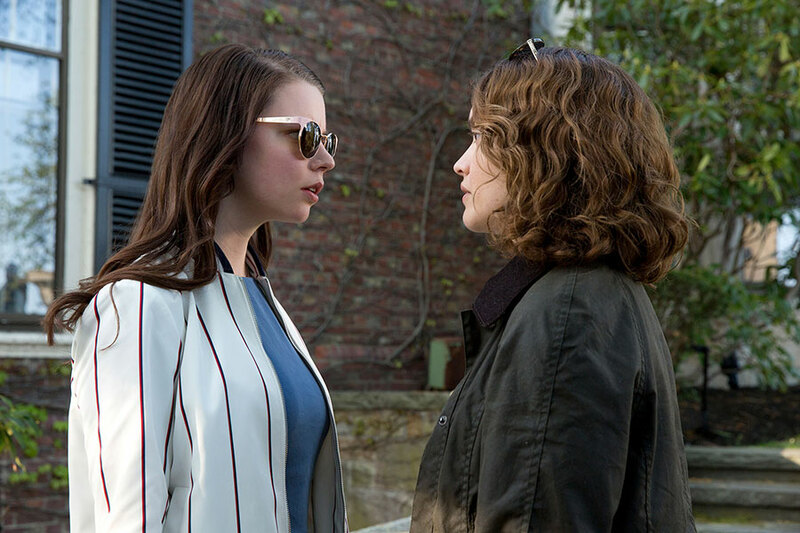 Elizabeth Olsen has done amazing performances in the past and this one was definitely a return to form. It’s a remarkable movie all around. I could have easily made Wind River my favorite of the year and been perfectly happy, but kept going back to one over and over again. We’ve lived with Hugh Jackman and his character for so long through good movies and bad movies. We’ve watch the Wolverine do great things and horrible things and we’ve watched him age through it all. Logan is the send off we needed. This was about a cowboy going on his one last ride. A father’s love for their child. The last good thing Logan ever does in his life and it end exactly the way it should end… with triumph and heartbreak. 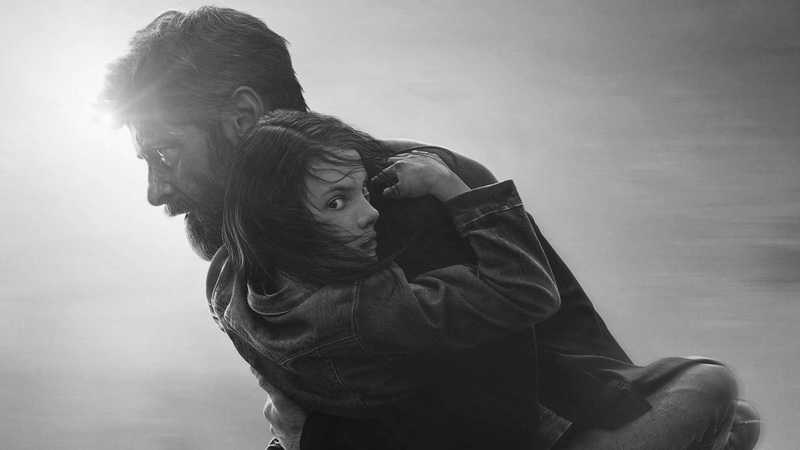 Logan is a proper eulogy for this great character played by an amazing actor and that’s why it’s my favorite movie of 2017. This entry was posted in Movies on February 15, 2018 by Rich. 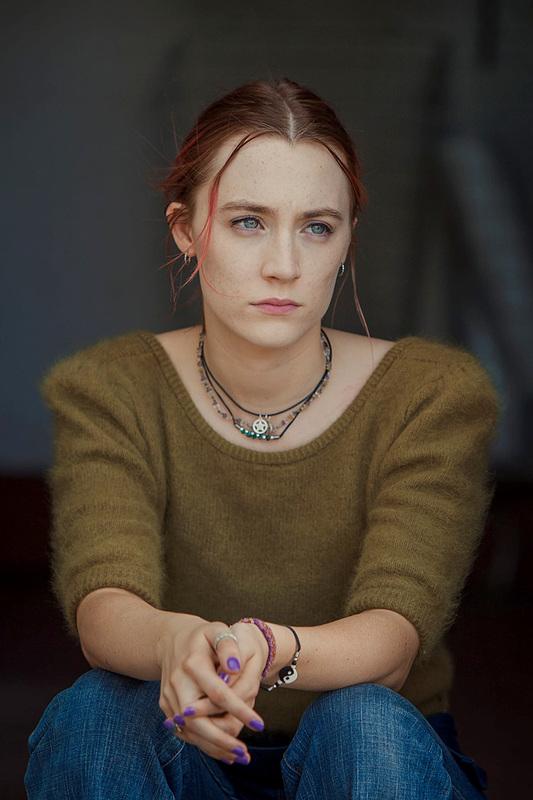 Notable others include Silence, 10 Cloverfield Lane, Deadpool, Doctor Strange, The Edge of Seventeen, Don’t Breathe, Kubo and the Two Strings, The Witch, Nocturnal Animals, and Midnight Special. Lots of great flicks this year. I honestly had a hard time getting the list under twenty. Some, though, were incredibly easy to push to the top. Let’s quickly go through some of the best. The Handmaiden is just this wonderful puzzle box where every 20 minutes after you open a new part, it changes in positively surprising ways. A complex tale, for sure, but laid out in a most entertaining way. Sometimes gross, but always beautiful, it’s a must-see. Moana starts somewhat procedurally and with typical archetypes, but then flips the script entirely. Everything about this movie makes me giddy. The story, the music, and the visual feast that Disney serves you, along with one mighty girl as the centerpiece, combine to make one of their best animated outtings of all time. Considering the silence of Moonlight and the subtlety of its main character, Chiron, everything about this film is absolutely deafening. It’s lyrical, as if you’re watching a song. Directed so deliberately, there is just no way to ignore any moment. You will, without a doubt, walk away from the end with hope, smiling ear to ear, and soaked in its generous humanity. 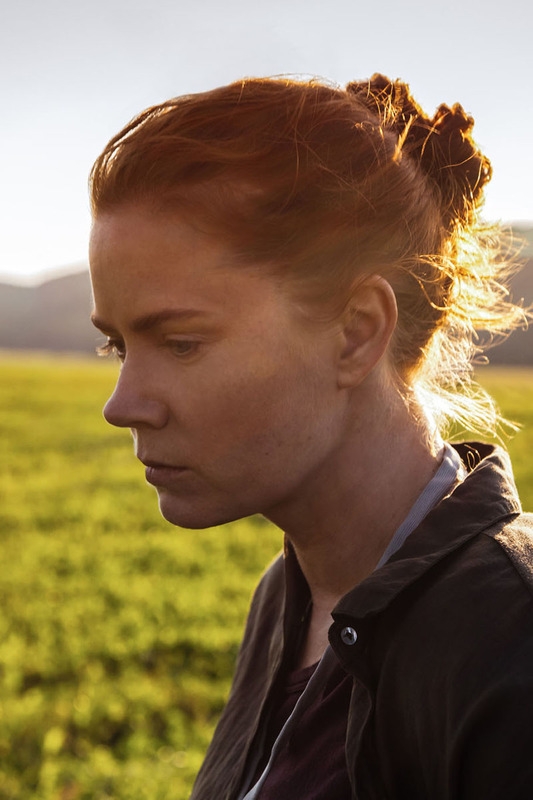 Arrival is a very small, poignant, and touching story told on a very large stage. It’s also an outstanding movie. More importantly, though, it about finding common ground and embracing benevolence while rejecting fear. Sounds like lessons I’d hope we’d all love to master. Just amazing stories all around, but one did shine brighter than the rest. Hell or High Water is a contemporary Western, through and through. The horses are cars, the settings are desperate, and the cowboys are dying. Parallels are easily drawn between the past when the white man ripped away the Comanche’s homeland and the present with banks taking away farms, stores, and homes. It is truly a story of the 99 and the 1 and what happens when you put someone in the corner of a tight cage. 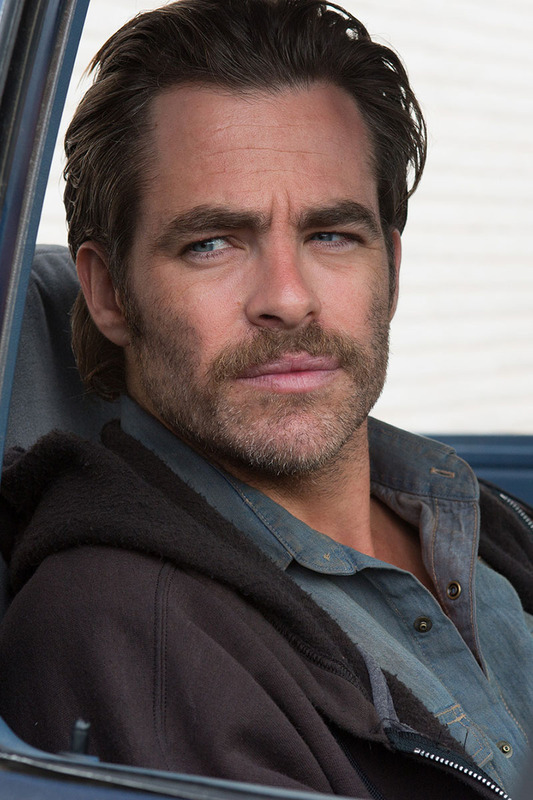 Those someones, brothers who are wholly portrayed by Chris Pine and Ben Foster, are you anti-heroes and even with all of their flaws, you easily fall in love with them. This is a perfect screenplay about moral complexity, family, and survival. 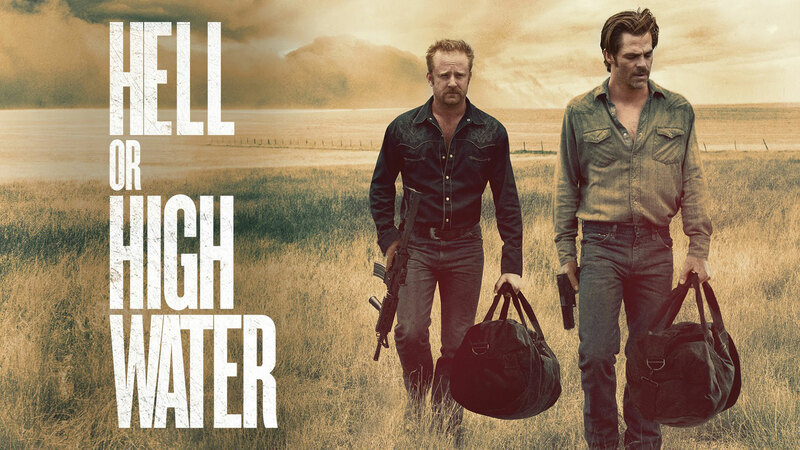 Entirely rich with detail and masterfully implemented, Hell or High Water is the best movie of 2016. This entry was posted in Movies on February 24, 2017 by Rich. 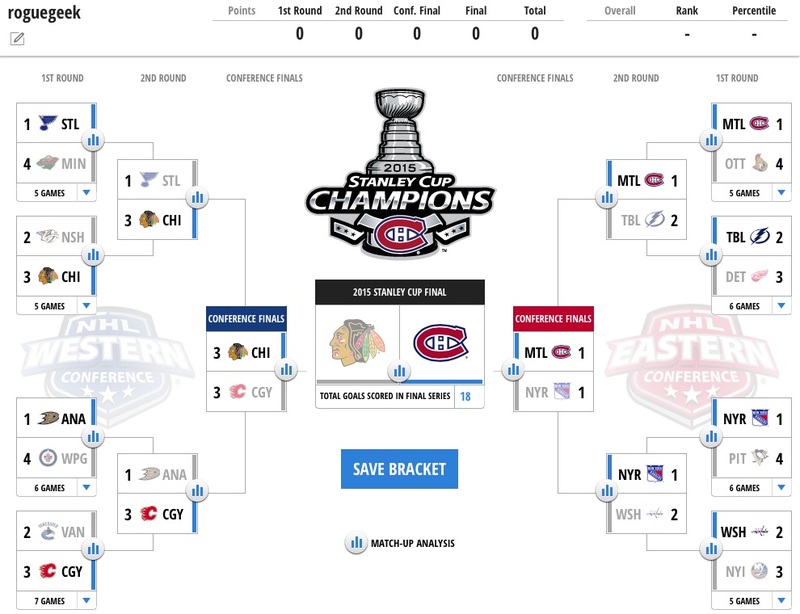 It’s been 24 hours of processing and, in that time, I’ve run the gamut of emotions. To my own disappointment, it’s mostly been dishearten and anger. I’m not a fun person to be around right now and the people closest to me would definitely agree. I’m sure I’ll have some apologizing to do to them in the next couple of days. It’s just hard. In the past 24 hours, though, I’ve also discovered one thing I’m very thankful for. I’m thankful that my son is far too young to understand what has been going on. I’m thankful I didn’t have to wake up this morning, make his breakfast, and answer the questions he would inevitably have. Why bullying or belittling anyone isn’t a way to gain respect. Why hating and fearing people who may be different from you are not the values we should encourage or celebrate. Why racial, sexual, and cultural diversity isn’t something we want to run from, limit, or throw walls between. Or why sexual violence against women isn’t something that should be nominalized. I would jump at the opportunity to answer my son if I needed to, but I’m thankful that won’t happen today and I entirely sympathize with and applaud all of the parents who had to. You’ll always be an example I can learn from. It’s just the people of this country just made it far too hard to justify any of those arguments. I so look forward to guiding my boy, instilling values, and teaching him about basic rights and wrongs. Just not today. This entry was posted in Uncategorized on November 9, 2016 by Rich. Notable others include The Hateful Eight, The Martian, Creed, Spotlight, Bridge of Spies, Dope, Room, White God, The Big Short, and Carol. I thought Ex Machina was the movie to beat for a while, but there were a fair amount of flicks that caught me off guard in 2015. Dope was dope. Creed surprised. The Hateful Eight were a likable bunch. The good kind of strange could be found in The Lobster. Straight Outta Compton was a vital watch that’s full of substance. 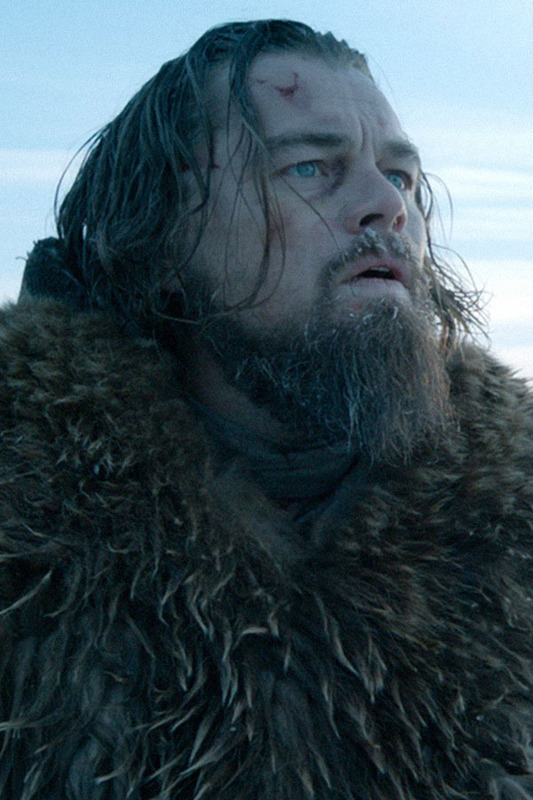 And every frame of The Revenant was shockingly breathtaking. Only one could come out on top, though. 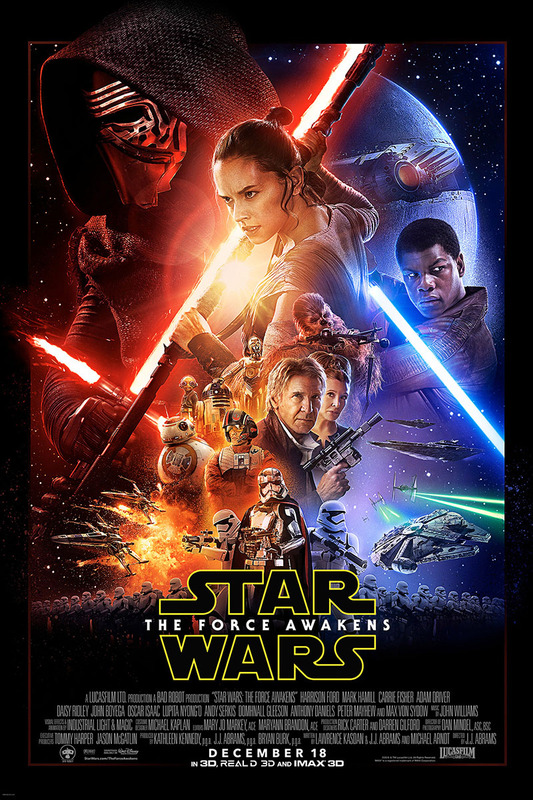 Star Wars: The Force Awakens may be an obvious choice for anyone who knows me, but that shouldn’t take any weight away from this flick. Movies like this are why I go to the theater. Films are not an escape for me. I watch these to gain a clearer, more focus understanding of reality. They help me explore emotions and trigger thoughts that I might have forgotten about. I can watch movies and relive a joyful moment or reflect on something more critical. The Force Awakens lets me walk in an adult and walk out a child, infused with The Force, and boasting the biggest smile on my face. That’s worth something. In a greater sense, the story of Star Wars is bigger than any one movie. 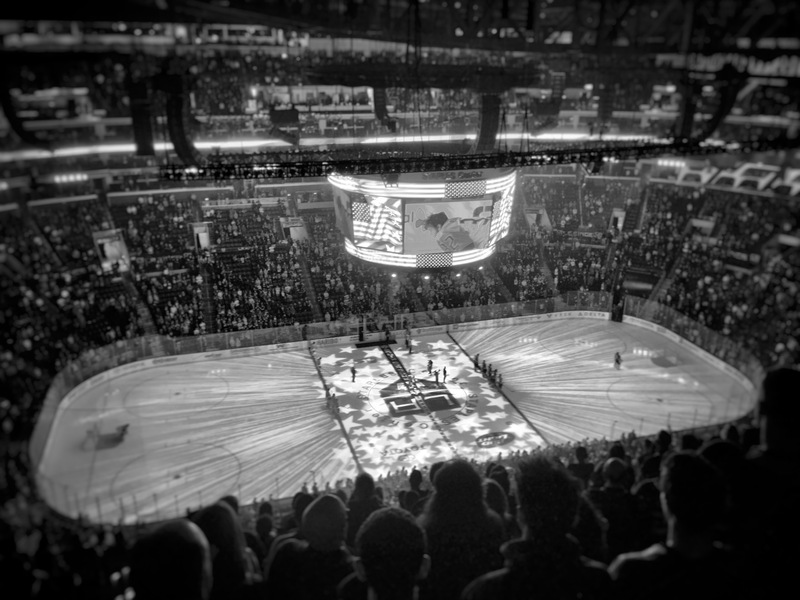 It’s an event or a celebration. It’s a universe that bridges so many generations and together, now possibly with my own kid, we can explore that galaxy all over again. From my perspective, if a movie is able to do that, it’s a pretty damn good movie. This entry was posted in Movies on February 27, 2016 by Rich. Grandma passed away this week. She had just turned 99. She was always a part of our lives and was loved very much. I know she always told us how lucky she was to have us around, but we were the lucky ones for being able to have her for so very long. She was an awesome Grandma and, even with the small amount of time she had with Luke, was an awesome Great Grandma. My heart is broken and I miss her a lot. This entry was posted in Uncategorized on February 26, 2016 by Rich. 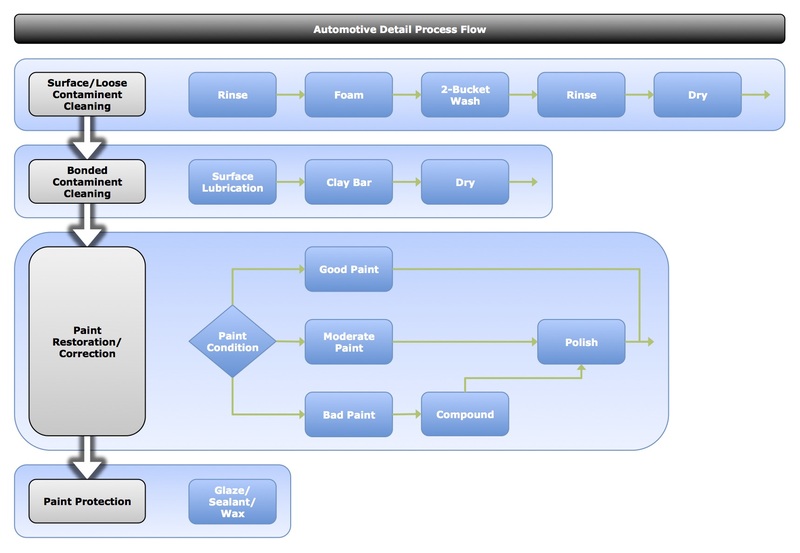 Made a quick macro-level flowchart of my auto detailing process. This entry was posted in Uncategorized on April 30, 2015 by Rich. This entry was posted in Movies on April 16, 2015 by Rich.